Andrew Bray will join the National Association of Landscape Professionals (NALP) as vice president of government relations beginning on July 9. Bray is a seasoned association advocate, having worked in a government relations capacity for the North American Meat Institute, the Grocer Manufacturers Association and most recently as the vice president of public policy at the National Pest Management Association. 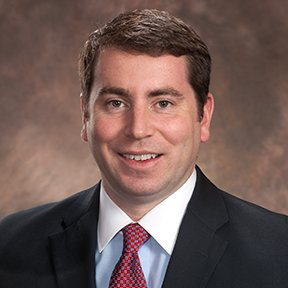 Early in his career, Bray honed his policy, advocacy and political skills working on Capitol Hill in a Congressional Office and while working on multiple federal, state and local campaigns. He earned his law degree in 2013 and maintains an active license to practice law in the state of Virginia. Bray will replace Paul Mendelsohn, who left the association in June. Bryan Corkal has joined Anuvia Plant Nutrients as chief financial officer. In this new position, he will oversee and manage the company’s finances, including strategic and capital planning, risk management and analysis of data. He will ensure accurate reporting of financial information, identify areas of opportunity and support due diligence for fundraising. “Bryan brings a wealth of financial, logistics and manufacturing expertise to Anuvia. His broad experience in manufacturing finance and understanding of agriculture, both domestically and internationally, will be an asset to the executive team in helping us reach our growth goals. He understands technology and brings an appreciation for sustainable technologies that have enormous potential to positively help farmers be better stewards of the land,” said Anuvia CEO Amy Yoder. Corkal comes to Anuvia from Calyxt, a Minnesota-based consumer-centric food and agriculture company offering gene-editing technology that creates healthier specialty food ingredients. Prior to his tenure at Calyxt, he worked for Monsanto for more than 17 years where he was instrumental in transforming and improving supply chain logistics. As Monsanto’s North American Supply Chain Finance lead, he designed a new planning and consolidation system and led the financial aspect of manufacturing and logistics for the company’s seed and trait business with a total annual product cost of more than $2 billion. He also gained international financial experience as he held leadership positions in Latin America and Brazil. In addition, he participated in several key acquisitions, analyzed new product platforms and helped develop strategic market opportunities. Corkal holds a master’s from York University, Schulich School of Business, and a civil engineering degree from the University of Manitoba. He is a CFA Charterholder and Certified Public Accountant (Missouri). LandCare promoted Earle Grantham to branch manager in its Fairfield location. He joined LandCare in July of 2017. Grantham worked his way up through the ranks of production manager and account manager before becoming branch manager. He began working in the green industry as a grounds crew member for the San Francisco Giants. He later managed the grounds department at Piedmont Unified School District, where he oversaw the maintenance of seven elementary, middle and adult schools.